UPDATE: Look at this hilarious photo of Pommerdoodle I found on Sabres.com. – Right now I’m in my robe and slippies, watching the Sabre play the Flyers. It’s currently 2-0, Flyers. Unfortunately, I really can’t say that watching the Sabres skate around like yahoos while the Flyers score at will is any more fun without Twitter than it is with Twitter. And without Twitter, I have nowhere to log my complaints. For example, wouldn’t Enroth have been the wise choice today? Assuming the Sabres lose this game (and admittedly, it’s a little early to make such assumptions since it’s only the first intermission and it’s 2-0, Flyers, not 4-0), now the stinky Sabres kind of need to win tomorrow. If Lindy had just played Enroth today, then even if they lose to the Flyers, he’d have a refreshed and recharged Crunchy in his back pocket for the Wild. This isn’t rocket science, is it? If Lindy plays Miller again tomorrow he should have to forfeit his yellow mustache to the Goalie Rotation Monitoring Guild. No one that stupid should have possession of a mustache that magnificent. 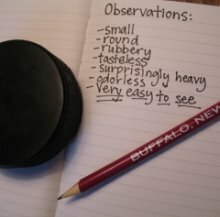 Did you know that the Sabres now have a suggestion box? – HEY, wait a minute! I’m feeling INCREDIBLY negative about this game. Maybe the Sabres make me angry because the Sabres are bad at hockey! Twitter is innocent! It's true. He's earned it. I WILL NEVER STOP SHOUTING ABOUT THIS. NEVER! – Okay, I’m done shouting about the shortie. This game is actually lots of fun. – Okay, the third period is starting. I’m scared! 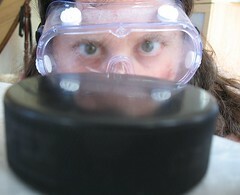 Sabres, I really, really, really, really want you to win this game. I REALLY WANT YOU TO WIN! Come on you, guys! You can do it! I believe in you! And when I started this post by assuming that you would lose, that was…Twitter’s fault! Yeah, even though I’m not using Twitter today, it’s still coursing though my veins. Twitter made me say it!… or something. *shifty eyes* Look, I think we can all agree that the important thing is that I believe in you now. – I often wonder what it’s like to play in a game like this. The Sabres just killed off a penalty (here’s a suggestion- don’t shoot the puck directly over the net, Crunchy), and my heart is POUNDING. I’m, like, physically nervous. Do the players feel like this? 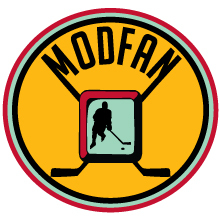 Or is this just, “ho hum…killin’ some penalties” for them? – Man I wish Ennis was six inches taller, and fifty pounds heavier. He’s so fast, and so shifty, and if he had just a little more “oomph” on him, he’d be totally unstoppable. The way he moves on the ice reminds me so much of Afinogenov, in both good in bad ways. Good, because he’s dynamic, and difficult to control. Bad, because, well, I pretty much expect Ennis to hold onto the puck for an hour and then pass it directly to a Flyer. Thankfully, he’s not actually Max. But I do wish he was bigger. THE SABRES ARE NEVER GOING TO LOSE AGAIN! – Have fun in Minnesota, you lovable, lunks. Say hi to my Mom for me!